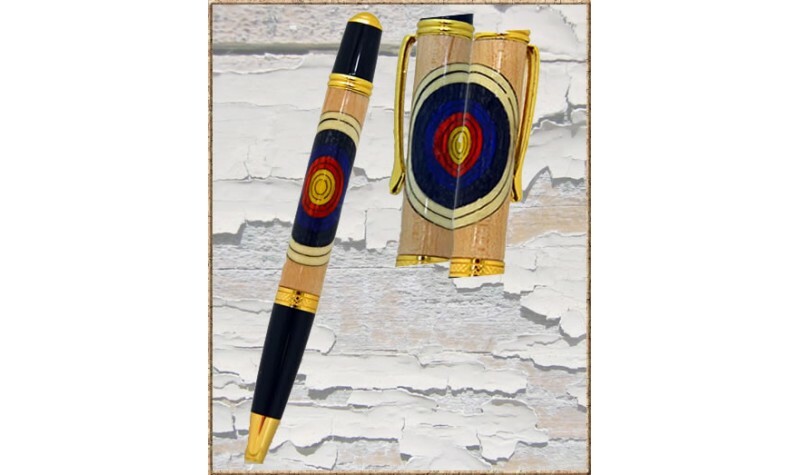 These pens are crafted by inlaying woods or acrylics into the pen during the turning process. This creates everything from simple patterns like a celtic knot to symbols and pictures. This is the standard Parker style refill available in either ballpoint or gel in black or blue color..